Nuclear energy occurs during the process of nuclear fusion or fission. It is an effective method of generating electricity. 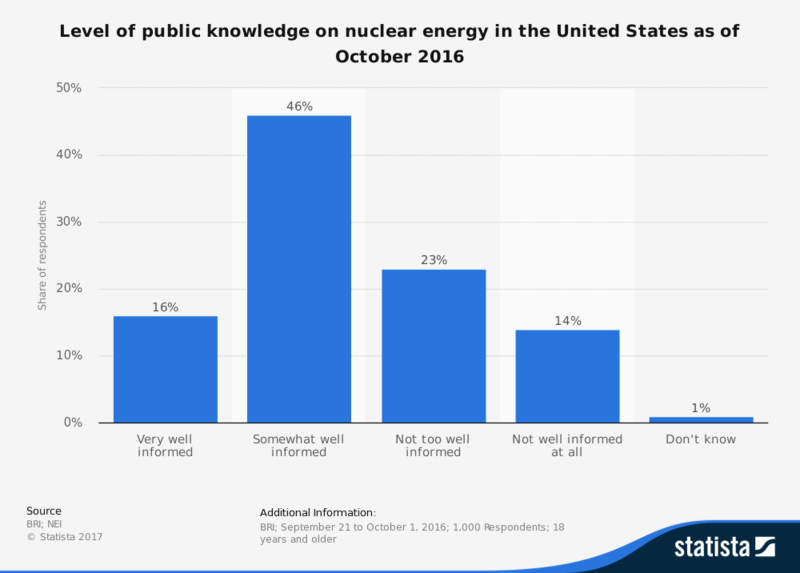 There are more than 400 nuclear energy facilities in the world currently in operation, with about 25% of them being in the United States. Energy is created with the nucleus of an atom is split into smaller parts. The splitting process creates protons and neutrons through an energy release. Nuclear energy creates around-the-clock base-load electricity without releasing potentially dangerous emissions into the atmosphere. On the other hand, nuclear energy creates radioactive wastes that must be carefully stored to prevent contamination. Here are the big advantages and disadvantages of nuclear energy to think about and discuss. 1. Nuclear energy is an extremely reliable form of energy. When they were first created, nuclear energy plants were designed to operate a maximum of 50 years. With proper maintenance and care, it is believed these power resources can perform for another 50 years at their current levels. At the same time, there is enough uranium stored around the world to handle current energy demands for more than 100 years. There is also the potential to extend that timeframe by using radioactive waste byproducts from the plants themselves. 2. It is one of the safest energy resources we have. The fear of nuclear energy is a meltdown occurring, with events in Chernobyl and Fukushima leading the conversation. Statistically, however, nuclear energy has one of the lowest mortality rates in the world. Information is reported per every trillion-kilowatt hour generated. Nuclear averages about 90 deaths for this power generation. In comparison, coal-fired energy offers 170,000 deaths for that amount of energy generated. Even rooftop solar has a mortality rate that is nearly double that of nuclear energy. 3. Nuclear energy is incredibly affordable. The costs of nuclear energy are directly comparable to wind and solar renewable resources. The largest cost of a nuclear energy installation is the capital cost. Cost estimates of new nuclear construction is up to $9 billion per unit. Once the facility is active, the production costs of energy are cheaper than natural gas or coal by more than 20%. Front-end cost comparisons are even more dramatic. Coal-fired energy has 78% of their expenses in front-end costs. Gas-fired plants are at 87%. Nuclear is at just 14%. 4. It is a proven resource. Nuclear energy is currently being used in 30+ nations. It is responsible for more than 10% of the total electricity that is generated for consumption around the world every day. In the United States, nuclear energy is responsible for about 20% of the total electricity that is produced daily. Five countries use nuclear energy as their main source of power: Belgium, France, Hungary, Slovakia, and Ukraine. 5. Nuclear energy is an environmentally friendly power option. Outside of the nuclear waste materials and the threat of a meltdown, nuclear energy is just as friendly to the environment as renewable power technologies. No carbon dioxide is released into the atmosphere during the nuclear fission or fusion process. Unlike coal or biomass power, there are no particulates released into the atmosphere with nuclear energy either. Because of its low emissions, nuclear energy can be placed virtually anywhere, as long as it can be safely managed. 6. It is one of the most efficient sources of power we know. When a nuclear fission reaction is properly controlled, the process can generate power that can be used for up to 3 years. That means the efficiency rate of nuclear energy is more than 8000% better than traditional energy resources. Even clean-coal energy using modern technology is only 90% efficient when it is controlled well. Some biomass energy resources are only 60% efficient. And, unlike solar or wind, it can operate all day, every day, without the need for storage. 7. Nuclear energy is also one of the densest forms of energy we know. The amount of fuel that is required for nuclear energy to be generated is incredibly small compared to other forms of energy production. According to Atomic Insights, uranium provides 16,000 times more electricity than coal does when compared in a pound-for-pound manner. When comparing new technologies to perform nuclear fission or fusion, the comparison rate may be more than 2 million to 1. The ratio of nuclear reactions to chemical reactions is closer to 10 million to 1. 8. It creates its own fuel for future production needs. Many nuclear power plants are able to recycle their spent wastes as fuel to generate more energy. Thorium recycling creates fission in a manner that is similar to uranium. Although nuclear is far from being a true “renewable” power resource, we have made tremendous progress toward reducing the dangers of contamination that have been traditionally associated with nuclear energy. 9. Nuclear energy is suitable for multiple applications. The electricity that is generated by nuclear energy is stable, allowing it to be used in a variety of ways. Power generated by nuclear energy can be distributed through networks that cover great distances as well because of this stability. With nuclear energy present, some of the most rural areas of our world have the ability to access affordable energy that can transform their lives. According to Inside Energy, power plant efficiency in the U.S. from 2003-2013 was 0.33755 for nuclear, which is competitive with petroleum-based electricity. 10. It has a negligible amount of loss. In 2013, the United States lost an estimated 69 trillion BTU through transmission and distribution of all electricity. That is about the same as the amount of energy Americans spend each year to dry their clothing. 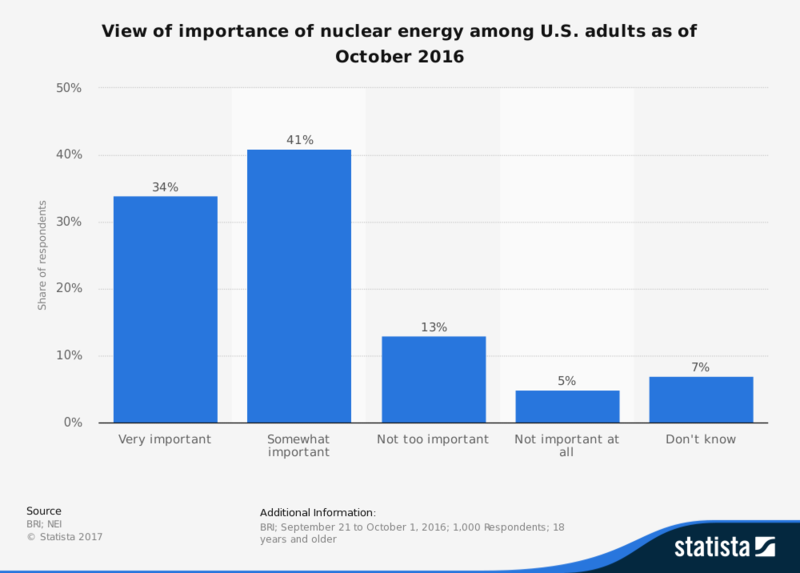 Although that seems like a hefty number, it is important to remember that nuclear energy accounts for 20% of that number in the U.S., not the whole amount. From a global perspective, the losses are even lower, as nuclear energy is responsible for about 10% of total power production. It is only in the high-use nations where transmission loss issues from nuclear energy are a serious issue. 1. Nuclear energy offers potential dangers that are not associated with other power resources. Although Chernobyl and Fukushima dominate the conversation when discussing nuclear incidents, there are many more serious accidents and incidents that have occurred. According to the Union of Concerned Scientists, there have been more than 100 serious incidents involving nuclear power as of 2014. More than half of those incidents have occurred since the Chernobyl incident. About 60% of the incidents which involve nuclear energy have happened in the United States. 2. It can be turned into dangerous weapons. Nuclear energy can also be turned into explosive devices that can be used to create powerful yields. Based on reporting from Popular Mechanics, the weapons dropped on Japan are 3,000 times weaker compared to the modern nuclear weapons that are available today. Little Boy, the nickname of one of the bombs dropped on Japan, released about 15 kilotons of energy. The largest nuclear weapon ever detonated, called the “Tsar Bomba,” released 5.3 megatons of energy. 3. Nuclear energy creates harmful waste. Nuclear energy burns cleanly, which is seen as an advantage. It also creates radioactive waste that is toxic to the environment and dangerous to humans. If this waste is not disposed of properly, then the damage it causes may last for hundreds, if not thousands, of years. In the United States, damages that are directly associated with the storage of nuclear waste materials is estimated to be at least $38 billion. Politico reports that the costs could be as high as $65 billion. 4. It creates health problems for people who are exposed. Accidents at nuclear energy facilities create ionizing radiation. These waves and particles occur naturally, creating exposures that are dangerous if an accident occurs at a facility. Thyroid cancers can occur because of exposures to radioactive iodine. Exposure to the isotope Cs-137 can be internal or external. Additional health concerns, including birth defects, are also associated with radiation exposure. 5. Nuclear energy has costs that are not calculated into capital expenses. The $9 billion in capital costs (or more) that is quoted is the price to build a facility from scratch. It does not include any of the associated costs that come with long-term waste storage and other measures of protection that are required to prevent radiation leakage. System costs, nuclear-specific taxes, and non-subsidized external costs must be incorporated into the total expense calculation. Once all of this happens, some communities may find that an investment into renewables is cheaper than an investment into nuclear. 6. It is not a renewable energy resource. Nuclear energy is often treated as a renewable energy resource. It is not one. Most nuclear facilities consume uranium to generate electricity. New facilities are able to consume thorium as well. That means nuclear energy, though cleaner than coal or natural gas, is still consuming natural resources. Unless new reserves are located, or technologies developed, there is a possibility that the materials needed to create nuclear fusion or fission will be gone in future generations. Total uranium reserves in the U.S. are estimated to be 60 million pounds at current pricing. 7. Nuclear energy doesn’t have the same levels of stockpiled resources. Even in our best-case scenarios, today’s children will be dealing with the reality of needing a new power resource within their lifetime. In comparison, the United States has more than 400 years of coal stockpiled for consumption at current power needs. Those facilities that were built 30-50 years ago are going to wear out in 30-50 years. The cost of replacing more than 400 facilities worldwide is a cost which could exceed $4 trillion. That’s a high price for future generations to pay. Mining uranium, then refining it to use it within a nuclear facility, is far from a clean process. The transportation of materials creates emissions that can affect the environment. In 2016, more than 1,100 holes were drilled for uranium mining, a decline of 14% from figures released by the U.S. government in 2015. In total, 2.5 million pounds of uranium was produced in the United States at a total expenditure of $170 million. 9. Nuclear energy, when not distributed efficiently, can experience high losses. Losses in India can be as high as 30% from electricity sent through the distribution grid, though theft may be a contributing factor to that number. In the United States, electricity losses can be as high as 13%. To prevent electricity loss, high-voltage, low-loss transmission lines must be installed and those come at a higher cost compared to low-voltage transmission lines that experience higher levels of loss. The biggest advantages and disadvantages of nuclear energy indicate this technology is safe and effective, though there are extreme risks which must be carefully managed. Even if everything is done correctly, a natural disaster and what happened afterward at Fukushima show us the dangers of nuclear energy technologies. Then there is the potential of creating weapons with this energy that can devastate entire nations. That is why it is so critical to implement this technology carefully and use it for the good of all humanity, instead of just a privileged few.